Interior roll up doors provide secure, reliable, and safe high-speed solutions for the inside of facilities. 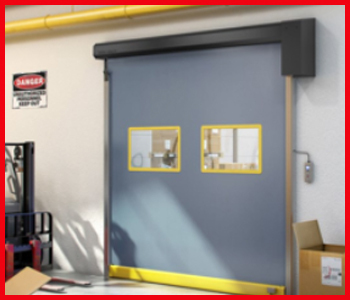 Interior roll up doors is the ideal solution for separating critical areas and increasing efficiency within a facility. Innovative rolling interior doors can be specifically suited for environments ranging from cold storage and clean rooms to general manufacturing or special machine protection applications. Albany RapidRoll roll up interior doors feature rapid opening speeds and advanced safety systems along with tight sealing and pressure resistance to help isolate or control environments. Albany RR300 interior roll up high speed doors feature a versatile modular design suited for a wide variety of interior applications ,including high-traffic areas, clean and hygienic spaces, high pressure zones and much more. Advanced high-speed door technology, including a self-repairing bottom bar, helps to increase efficiency and eliminates damage from accidental impacts to ensure continuous smooth operations. The right seals provide climate control and keep out debris while the thin side frames and small footprint allow for unlimited installation possibilities.